ZWICKAU (SAXONY), GERMANY- A cold afternoon lingers over the Ore Mountains, the fingers tingling and icy cold, yet the brave soul prevails as he crosses a historic landmark for the first time in almost a year. 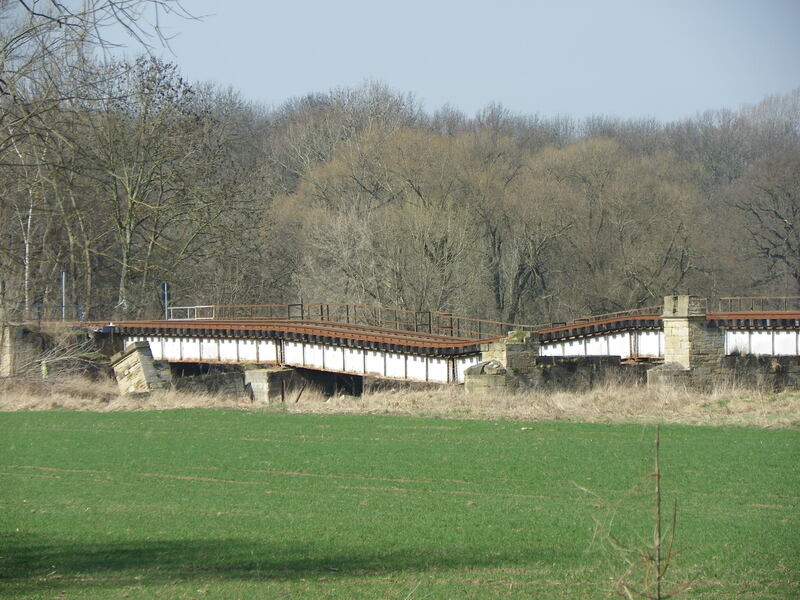 The Röhrensteg, a 1500s-era covered bridge spanning the Zwickau Mulde on the south end of Zwickau is now open to traffic. After seven months of being closed due to a massive makeover, the bridge now provides access to Reinsdorf and all points east after pedestrians and cyclists were forced to take a detour either via the Schedewitz Bridges to the southwest or the Paradiesbrücke to the northeast. 1. What is different in the bridge after its rehabilitation in terms of its sturcture and design, both inside and out? 2. What was left as is? 3. What could be worked on further? 4. How satisfied are you with the reconstruction? With this question, I have a poll for you to grade on. Link to gallery below here. Additional photos via Google Photos here. An updated version can be found here. 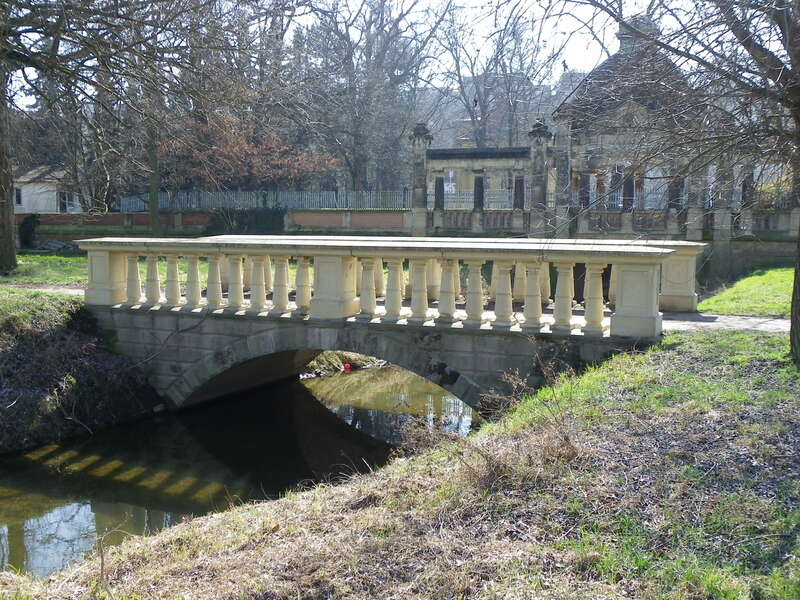 A tour guide on Zwickau’s historic bridges can be found here. Stone arch Bridge from the 1800s to be remodeled and connected to the regional bike Trail. 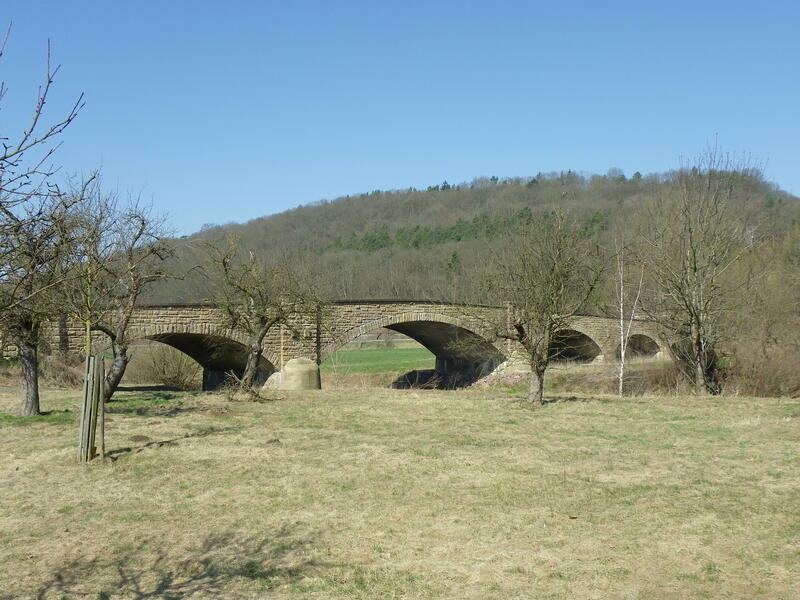 REICHENBACH (VOGTLAND), SAXONY (GERMANY)- Not far from the battleground crossing at Bockau (near Aue) is another historic bridge that one of the committee members recommended me to visit. 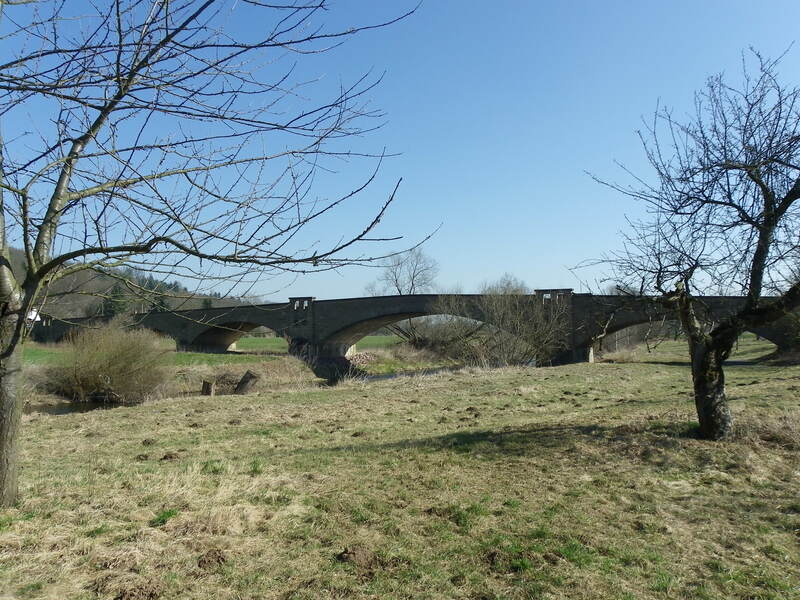 Spanning the River Göltzsch, which is the same river that is crossed by the Göltzsch Viaduct near Greiz, the Eger Bridge is located in the village of Mühlwand, approximately three kilometers from Reichenbach and just as many kilometers away from the Motorway 72 Viaduct. 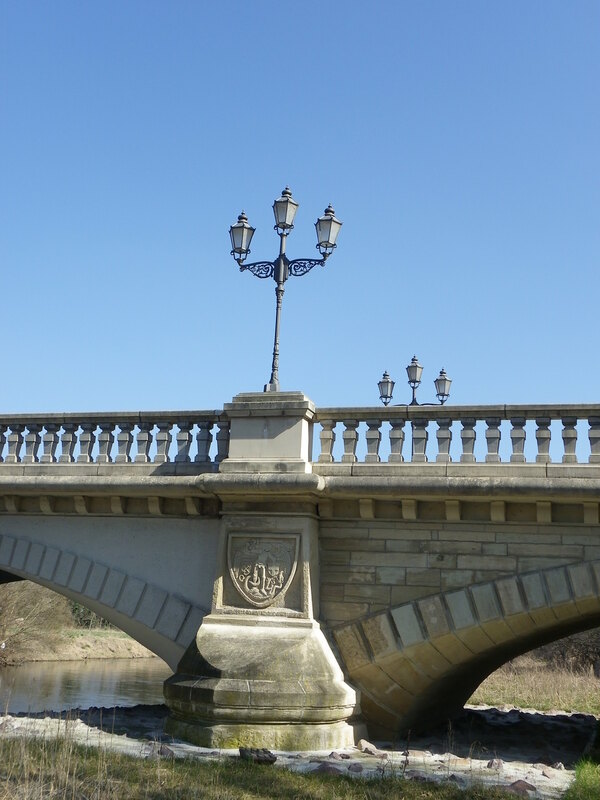 This structure was built in 1769, replacing three previous spans that had been constructed in 1573, 1755 and 1758, respectively, all made of wood. The bridge is a two-span stone arch structure with a span of 20 meters; two arch spans have a lengths of 8 meters and 3.6 meters, whereas the width is 5.25 meters. It has been redundant because of the concrete span that was built alongside it in 1987 but had been left open for pedestrians to use until a pair of floods caused extansive damage to the arches in 2002 and 2013; the latter forced the closure of the bridge to everyone. Upon my visit to the bridge most recently, one can see the extent of the damage to the structure, where the concrete railings have fallen apart and the stones used for the arches are exposed. It is a surprise that the bridge did not collapse earlier like it happened in Great Britain during the infamous Christmas Day floods of 2015. The replacement span on the left. Even more of a surprise is the amount of support the locals have for saving the bridge. 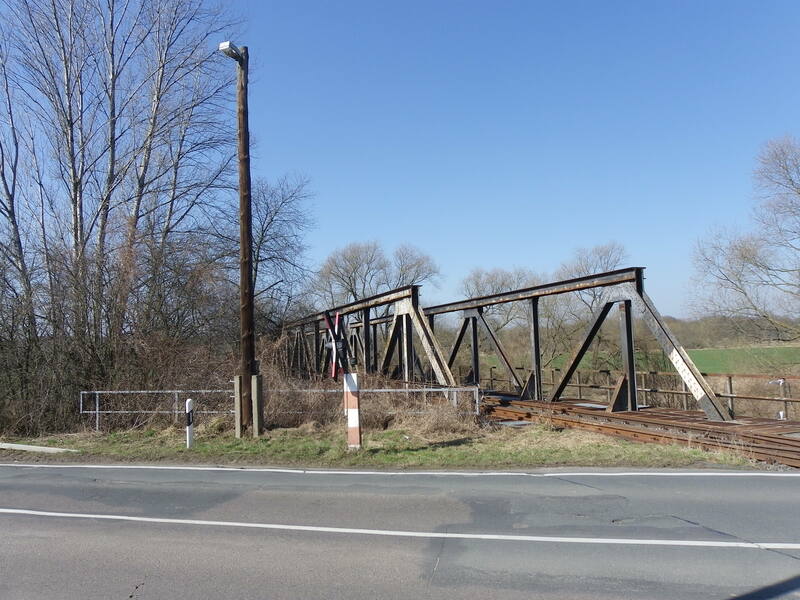 As recently as January of this year, members of the local town councils in Reichenbach and the surrounding areas, together with the Saxony Ministry of Business and Transportation voted in favor of renovating the bridge, at a cost of 1.5 Million Euros. This includes the cost for constructing the approach to the bridge, connecting the structure with a nearby bike trail approximately 200 meters away. The costs will be shared through a private-public partnership between the state, a private Entity L.I.S.T Inc., and the City of Reichenbach, who will take over ownership of the bridge once the project is completed. How the bridge will be renovated remains unclear, but it appears that the structure will have to be rebuilt from the ground up, as it has been seen with many arch bridges in eastern Germany- the Camsdorf Bridge in Jena, which was done in 2005, and the upcoming project with the Hirschgrund Bridge at the Castle Complex in Glauchau. Private and public partnerships are becoming the norm for bridge Building in both Germany as well as the US, where public and private entities join together to share the costs for projects like this one. There are some advantages and disadvantages to the project, which will be saved for a separate article. However one can say the cost for renovating the bridge depends on not only the size of the structure, but to what extent does the bridge need to be fixed. 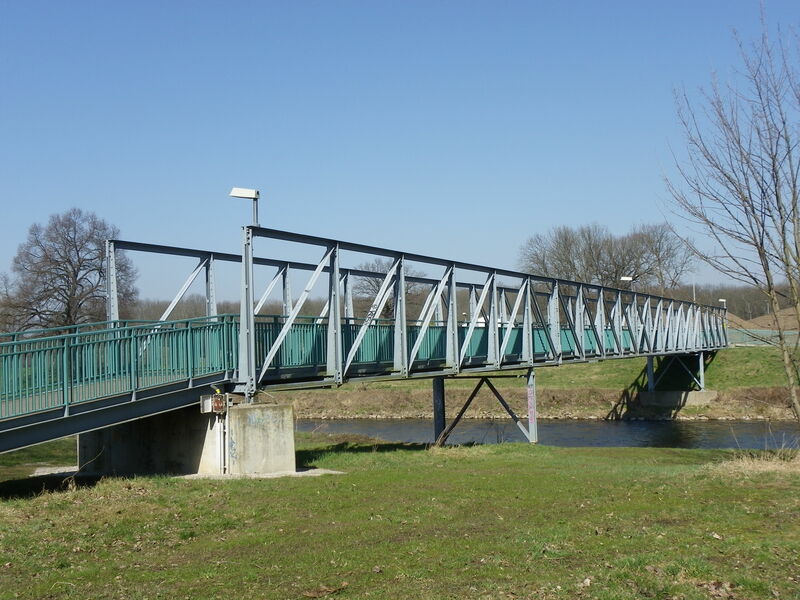 In the case of the Eger Bridge, as the damage is extensive, the cost can be much higher than the cost for simply redoing the decking. 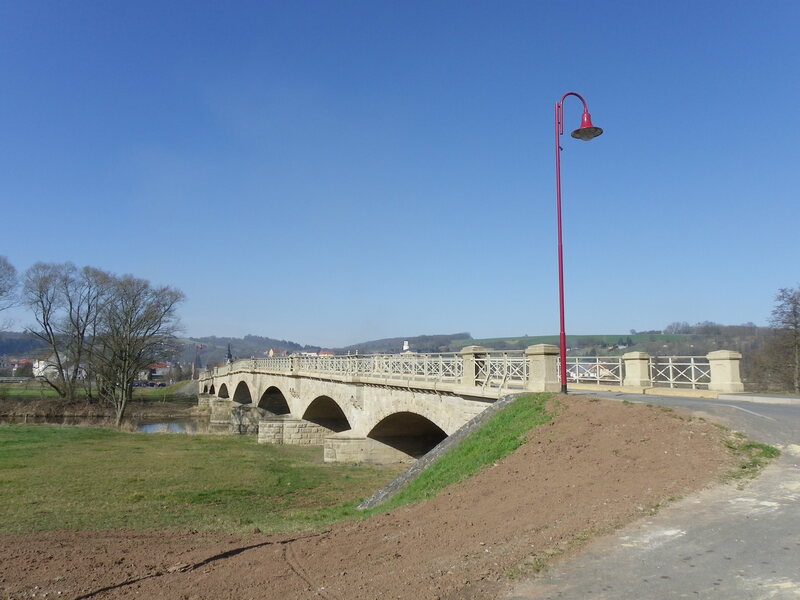 Still, the renovation of the Eger Bridge is a blessing for the region, and especially for the Göltzsch Valley, for there are over three dozen stone arch bridges, big and small, spanning the river. 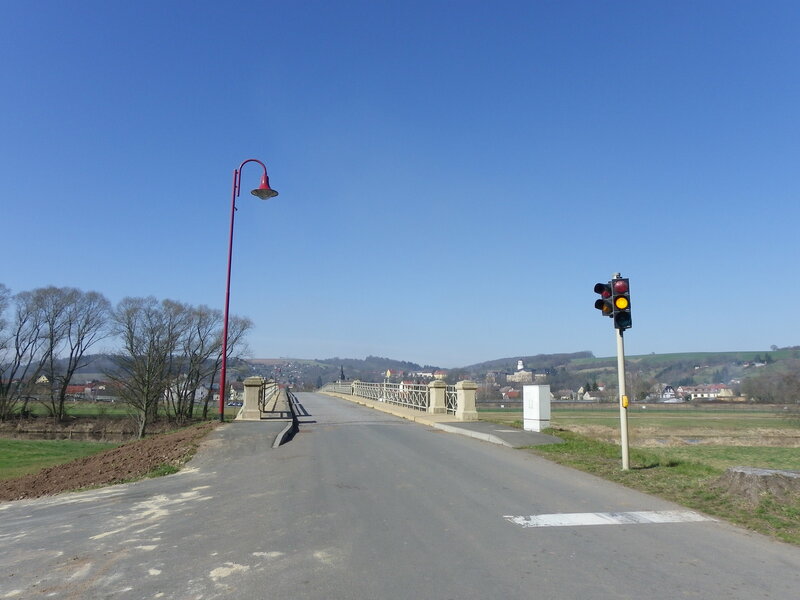 This makes for a treat for bikers who are using the bike trail that runs parallel to the river and used to be a rail line connecting Greiz with Cheb (Eger) in the Czech Republic. For this bridge, there is a lot of history to learn about this, which thanks to this PPP initiative, will be preserved for vistors in Germany, Europe and Areas outside there. 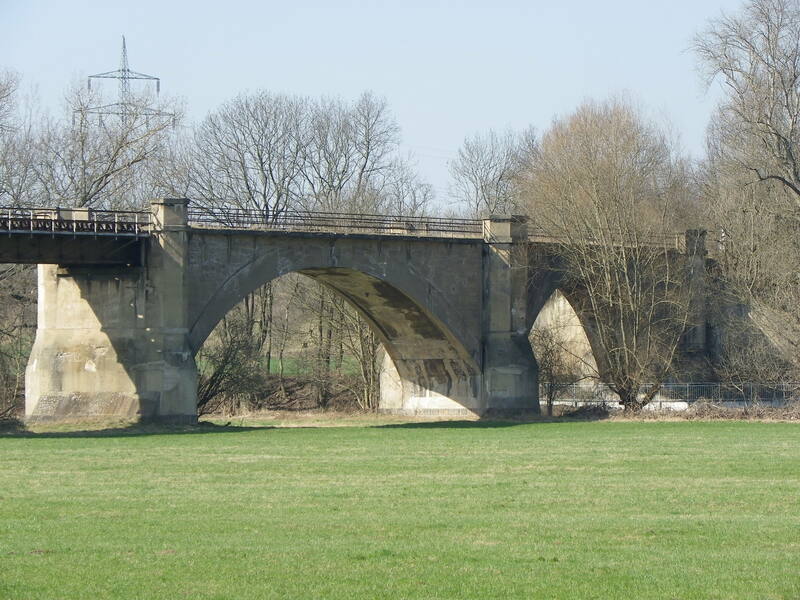 The bridge used to serve an interregional road connecting Altenburg (Thuringia) with Cheb (Eger) in the Czech Republic. It was a major trading route in the Vogtland region. 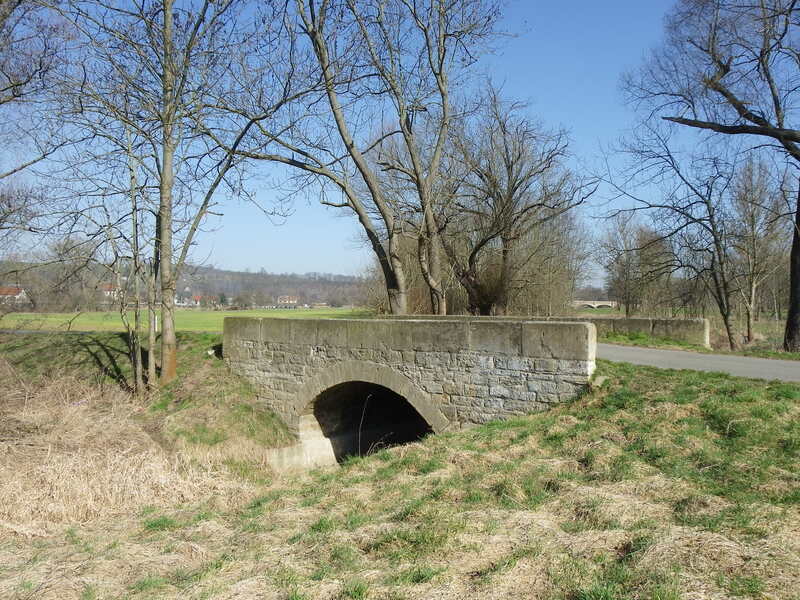 The bridge was used many times by Napoleon’s Army during his conquest from 1806 to 1814- Napoleon himself crossed the bridge on 12 May, 1812 and again on 3 August, 1813. It was located next to the Alaunawerk, which was a beer tavern beginning in 1703 but was converted into a restaurant afterwards. It burned to the ground in 1853, but the stone wall along the river next to the bridge remains. 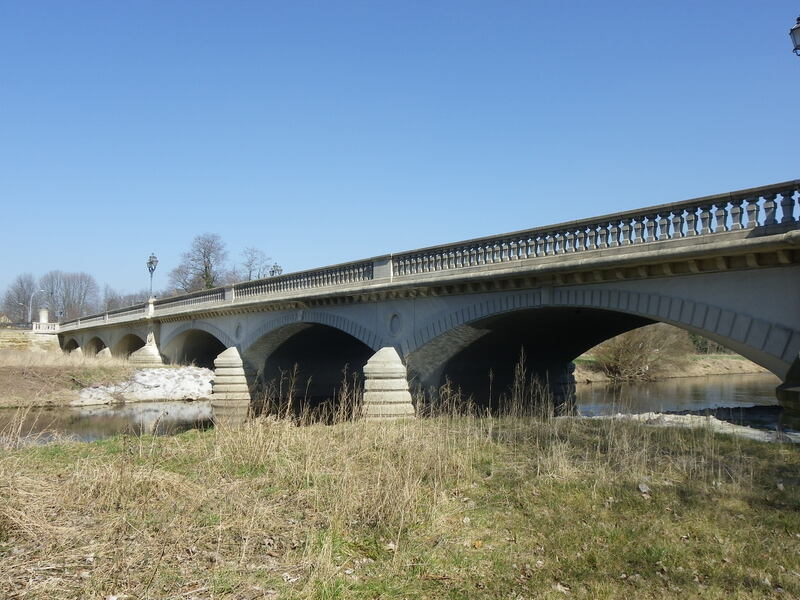 150-year old historic bridge to be closed until Fall 2019 for renovations. CHEMNITZ, GERMANY- When travelling through Chemnitz in central Saxony, one will be amazed by the architecture the city has to offer. Be it from the age of industrialization, the Communist era or even the present, the city has a wide-array to choose from, which will please the eyes of the tourists, making them want to spend time there in the third largest city in the state. 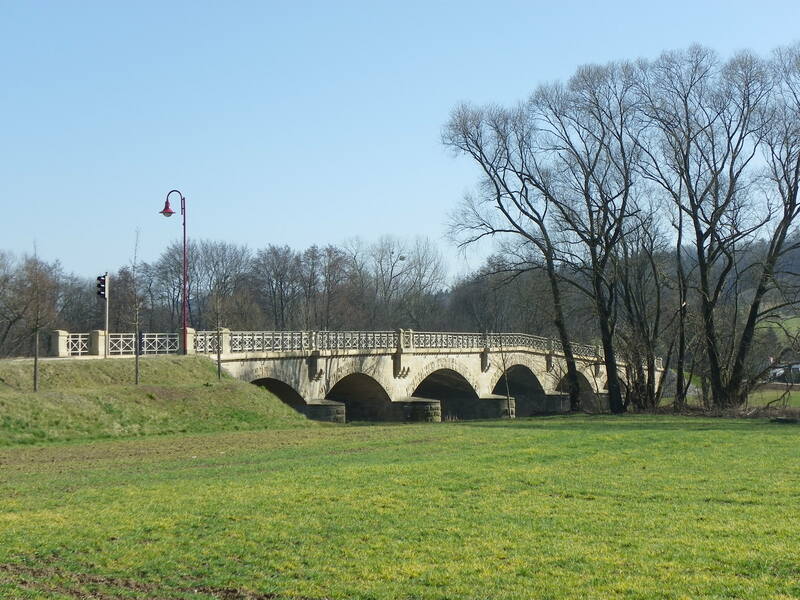 Chemnitz has over 100 historic bridges that are a century old or more, most of them are arch structures made of stone, concrete or a combination of the two. But each one tells a story of how it was built and how it has served the city. Take for instance, the Karl-Schmidt-Rottluft Bridge, on the west side of the city center. Spanning the Chemnitz River and Fabrikstrasse carrying the Ramp leading to the suburb of Kassberg, this bridge has a character in itself. The dark brown-colored stone arch bridge has been serving traffic for over 150 years, running parallel to the Bierbrücke located just to the north by about 80 meters. 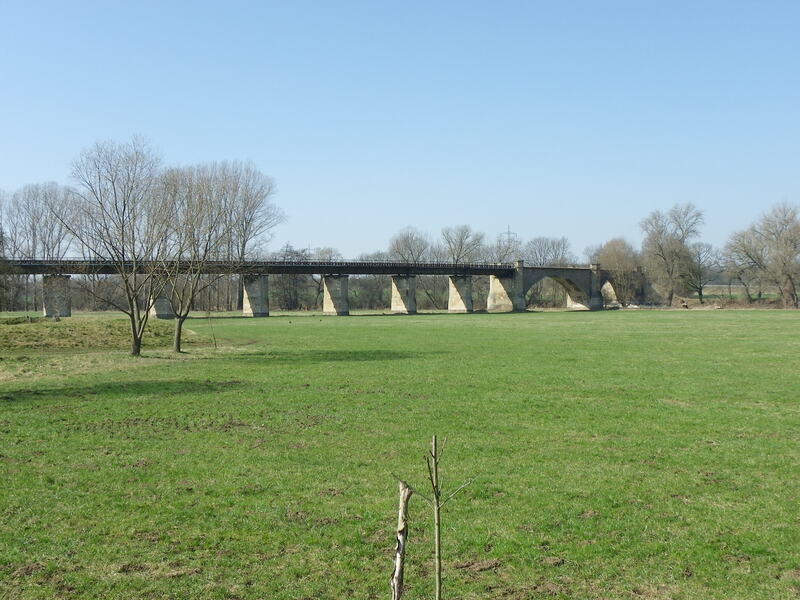 The five-span arch bridge features variable sizes of the arches to accomodate the ravine: two of the largest for the river, one of the widest for Fabrikstrasse and the narrowest for pedestrians, all totalling approximately 120 meters- three times as long as the Bierbrücke. 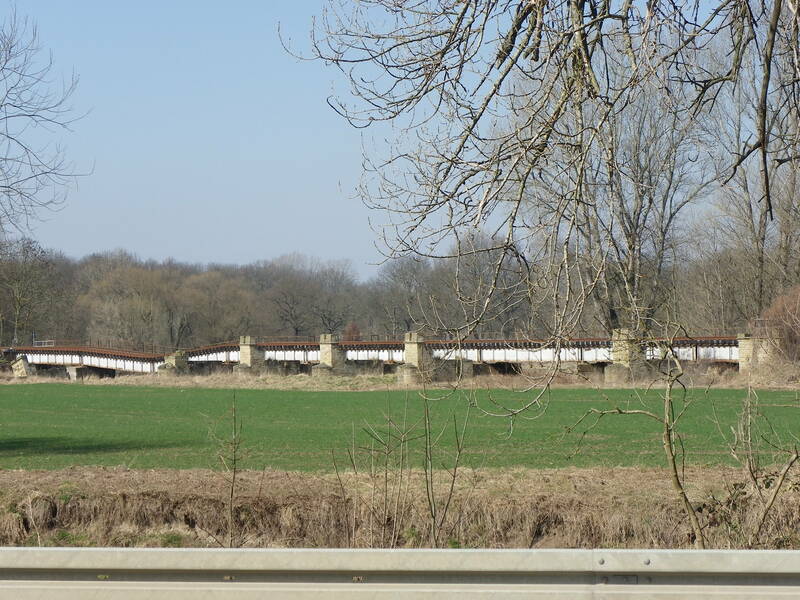 The bridge was named after Karl-Schmidt-Rottluft, an expressionist painter during the (inter) war period. Despite its services over the year, the City of Chemnitz plans to shut down the bridge beginning in the Spring 2018 allow for extensive rennovations. The 2.8 million Euro project ($4.3 million) will include extensive work on the retaining walls and stairway connecting crossing and Fabrikstrasse below. Furthermore, repairs to the arches and renewing the decking and railings will be in the plans. 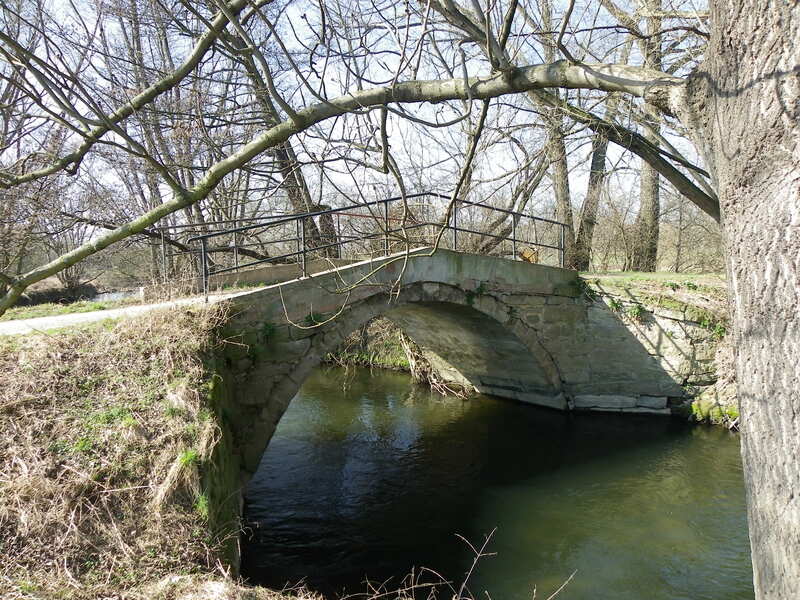 The State of Saxony provided two million ($3.2 million) for the project as part of the initiative “Bridges in the Future”, which was started in 2015 and is designed to restore many of the state’s historic bridges while replacing many in dire need and beyond repair. The City of Chemnitz needed to cover the rest of the cost. The project is scheduled to be completed by October 2019. Despite the inconvenience people will have to deal with during the 1.5 year closure, the renovation is a must, based on my many visits since the beginning of this year. Many cracks were showing in the arches and attempts to shore up the spans using concrete made the under half of the arch appear derelict. Furthermore, debris on the stone materials made the bridge in general appear dirty. Then there is the multiple spider webs hanging from the bridge, making the structure really spooky, as seen in the picture below. 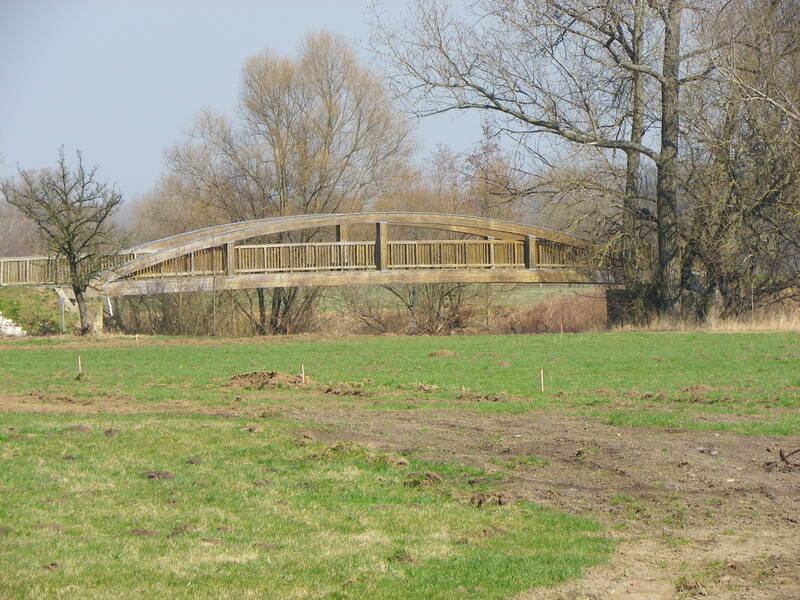 Yet on hindsight, the bridge and the nearby pub, bearing Kassberg’s name, have a unique setting which warrants such a project. While many engineers and planners have evicted owners from their businesses because of new bridges to be built, the planners for this project ensured that this will never happen, especially as the pub crafts its own microbrew, hosts many cultural events and even has a museum focusing on the district. For this bridge, it is a blessing that it will be restored to its natural beauty, while ensuring that it will continue to safely provide services to drivers and pedestrians alike. From a historian’s point of view, this bridge warrants more information on its history. If you have some to share, please use the contact details here and write to the author. A tour guide in English will be made available in the next year, in connection with the city’s 875th anniversary celebrations. 111-year old product of a Chicago bridge builder to be rehabilitated and reopened to traffic after being closed since last year. DECORAH, IOWA- Winneshiek County has made headlines in the past couple years due to its problems with functionally obsolete bridges, many of them being over 80 years old and in need of extensive repairs in order to keep them open longer. With a lack of funding, the county is having problems with making the necessary repairs and replacements, while at the same time, enforce the laws involving weight limits. 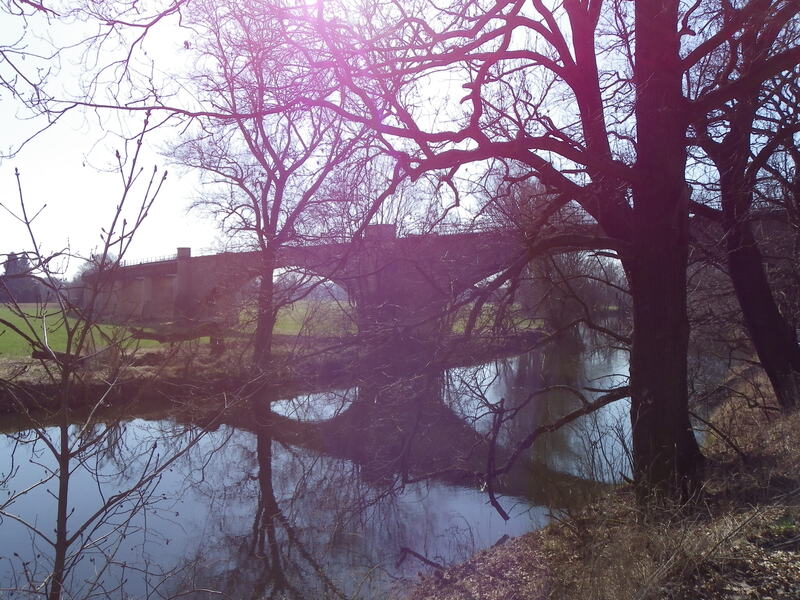 The collapse of the Gilliece Bridge last month by an overweight and oversized truck stressed the importance of laws to protect bridges, especially this bowstring arch bridge, as it is still listed on the National Register of Historic Places but its future is rather bleak at the moment. The driver of the rig has since been formally charged for reckless driving, damage to property and disobeying traffic laws. But there is a silver lining behind one of the county’s few remaining historic bridges in the Chimney Rock Bridge. Built in 1906 by the Continental Bridge Company at an unknown location, the 162-foot long bridge has spanned the Upper Iowa River at its current location since 1952. 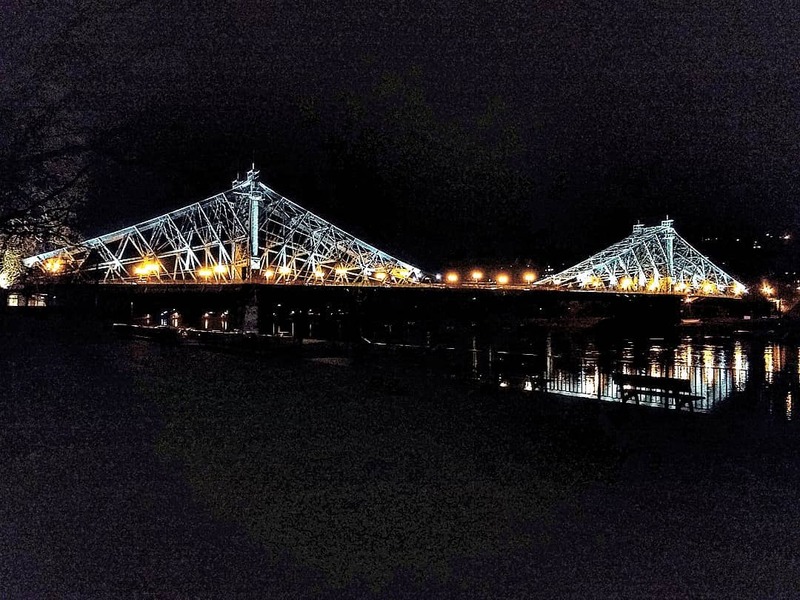 The pin-connected Parker through truss bridge with Town Lattice portal and heel bracings has been closed since flooding devastated the region late last summer. Now it will be given new life as supervisors of Winneshiek County have recommended repairing the bridge instead of tearing it down. According to county engineer, Lee Bjerke in an interview with Decorah News, the cost for totally replacing the historic bridge would be at least $780,000, whereas making repairs to the bridge would cost $400,000 less. Furthermore, with the Federal Emergency Management Agency chipping in for most of the expenses, the county would only have to pay $57,000 for the work. For many, this is a win-win situation not only for its preservation of a key crossing that has been in service for over a century- 65 years of which has been at this site. For county supervisor Dean Thompson, this might be the best shot at preserving a historic bridge in Winneshiek County. The county has lost several bridges since 2005, which includes the demolition of the beloved Fifth Avenue Bridge in Decorah in 2005, the last-minute decision to tear down the Turkey River Bowstring Arch Bridge in 2009, salvaging only the Queenpost portion of the Upper Bluffton Bridge in 2012, and lastly the most recent destruction of the Gilliece Bowstring Arch Bridge last month. The truss bridge at the Diversion Canal west of Decorah is slated for replacement very soon, while the Ft. Atkinson and Henry Bridge‘s futures are questionable, the former having been closed since 2013. With Eureka, Ten Mile Creek and Freeport preserved as historic sites, the county may have to think ahead about preserving the remaining bridges before they are met with the wrecking ball. With F.W. Kent Park up and running, followed by another one set to open in Winterset in the near future, having a historic bridge park similar to the one in Michigan may be the most viable option left on the table together with a bike trail connecting Decorah and points along the Upper Iowa or to the southwest. Whether residents are of the same opinion and are willing to chip in their money and manpower has yet to be seen. Yet, saving the Chimney Rock Bridge is taking a step forward in the right direction. If anything, it provides access to the park and campground again and will be a recreational treat for hikers and fishers alike. Click here to read an essay the author wrote 12-years ago about the Chimney Rock Bridge and the Continental Bridge Company. You can also find it on the wordpress version of the Chronicles. Enjoy the pics by clicking on the links above in the article. The Chronicles will keep you informed on the latest on the bridges in the county. 93-year old historic bridge in dire straits put out of its misery together with a falsework bridge beneath it. PITTSBURGH- It was a posterboy of Pennsylvania’s infrastructure, touted as one of the worst in the country, but it was a classic example of a bridge whose life would have extended beyond a century, had the state and Allegheny County each contributed enough money for rehabilitating the structure. 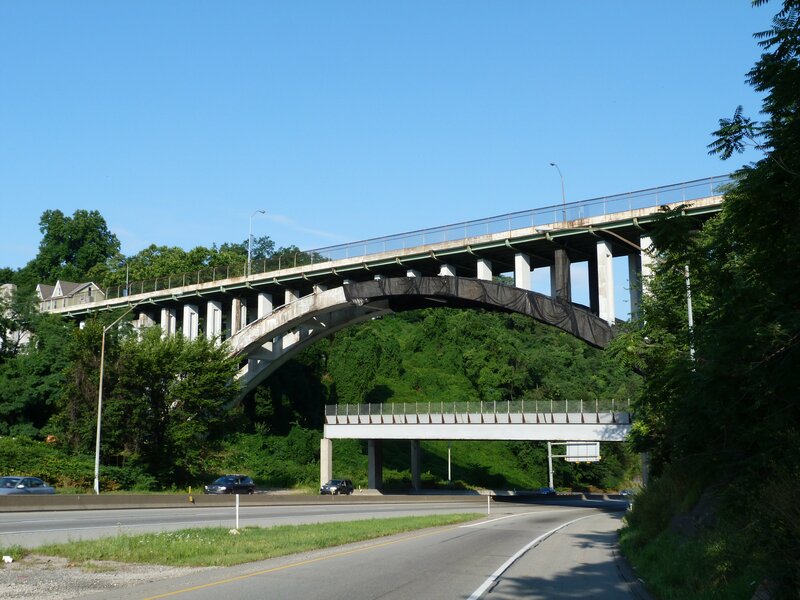 Now the Greenfield Bridge, a 1922 open spandrel concrete deck arch bridge has become a piece of history, and an example of wasted tax dollars that could have better been spent maintaining it! The bridge had deteriorated to a point where planning for a new span began in 2010 for a new span. Yet, according to Nathan Holth of HistoricBridges.org, the deterioration could have been hindered had money been spent properly. “Countless historic bridges have been neglected and/or demolished and replaced for no other reason than that the system for funding bridge projects in the United States is severely flawed and encourages agencies to defer maintenance and rehabilitation until the bridge deteriorates to a serious condition, at which point those agencies are rewarded with demolition and full replacement funds from the federal government. This system has destroyed history, wasted tax dollars, and probably reduced safety as well,” he mentioned in his website. He later adds, “The system need considerable reform, so that greater quantities of funding are provided from the federal government to state and local agencies for the purpose of bridge maintenance and rehabilitation, thus reducing the need for costly, destructive, and inconvenient replacement projects. At the same time, state and local agencies should have to pay a larger percentage of the cost for replacing a bridge, which would decrease the incentive for deferring maintenance and letting a bridge deteriorate.” Because of concrete pieces falling off the bridge, a falsework bridge was built over the Interstate to catch the debris at a cost of $700,000, something Holth and other preservationists have considered a waste of money. That bridge was also brought down along with the arch bridge. The Greenfield Bridge had been listed as one of 13 pre-1940 concrete arch bridges in the greater Pittsburgh area that needed attention as far as preservation and the National Register of Historic Places are concerned. Unfortunately, once the Interstate is cleared of all the debris from the wrecked bridges, a steel arch bridge will be put into place, expected to be open to traffic by the end of next year. 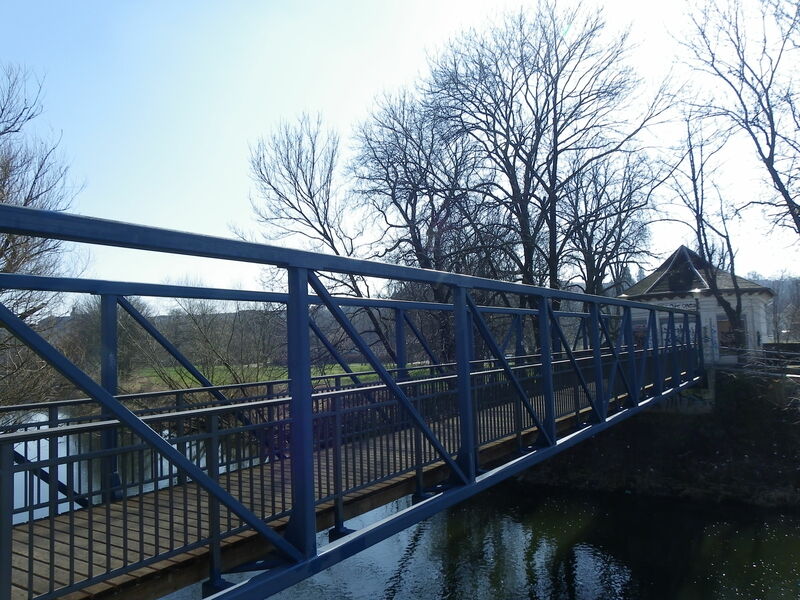 According to sources, railings and other features will mimic the bridge lost to history. Yet it will never resemble the bridge that became a victim of a system in dire need of reform to reduce the amount of wasted money and preserve some history, something Pittsburgh has taken pride in with the city’s numerous bridges.